The Hotel Negresco, in Nice, France, is a luxurious five star property on the famous Promenade des Anglais, overlooking the Mediterranean Sea. 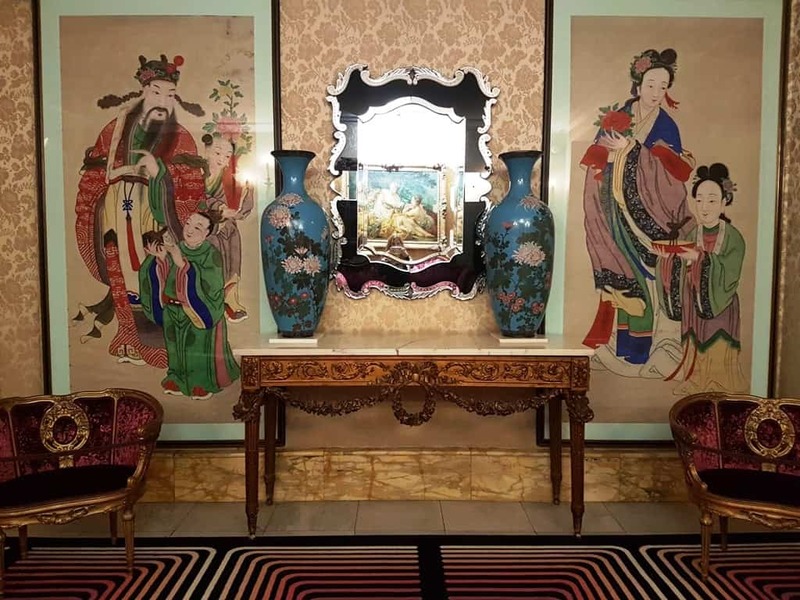 The hotel boasts an exceptional art collection that spans more than five centuries, from Louis XIII to modern day. 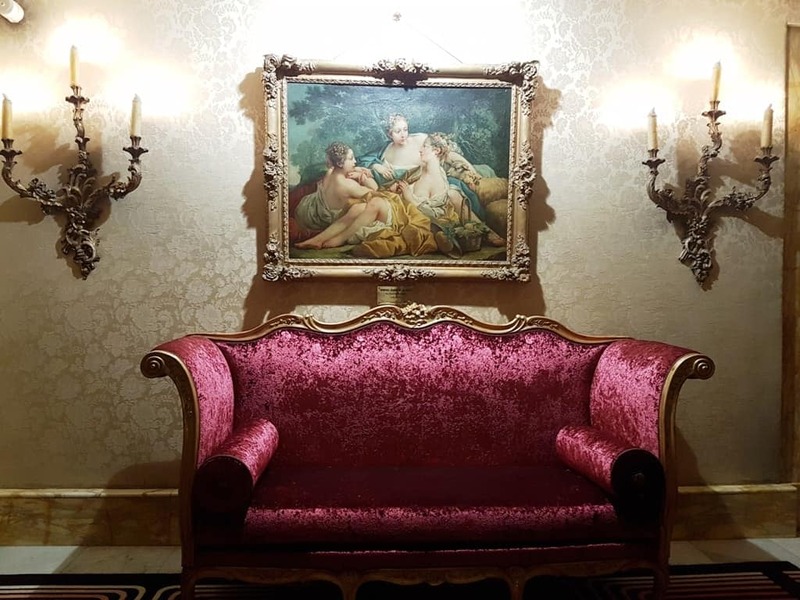 Each of the 99 rooms and 25 suites at Hotel Negresco have been personalised and furnished with period style pieces inspired by various influential eras in French art. I stayed at Hotel Negresco for just two nights earlier this year, in a gorgeous deluxe sea view room. 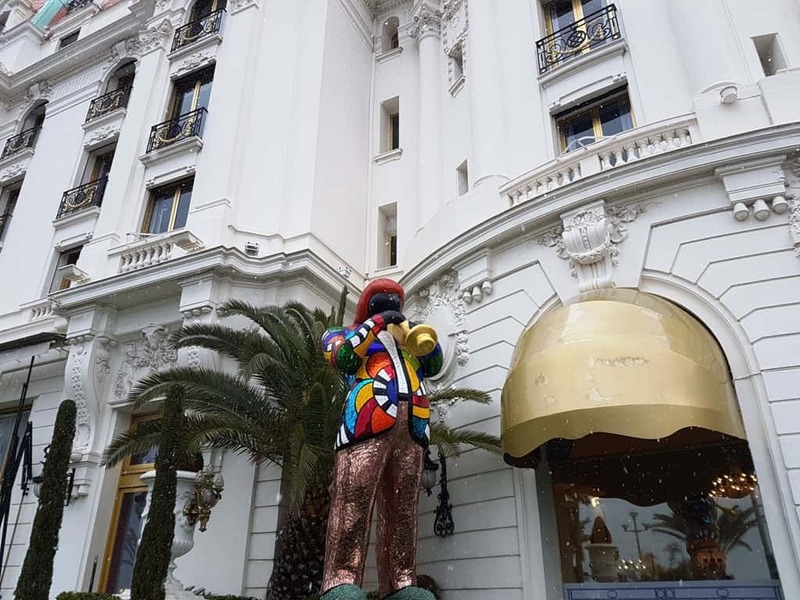 Hotel Negresco is located halfway between Cannes and Monaco, at one of the most stunning points along the Bay of Angels, and is a short walk from Nice’s Old Town. The French Riviera was originally a popular health retreat destination for English nobility in the 18th century, and later attracted the jet-set artists, celebrities, and politicians. Today the sun-soaked region is a popular destination for celebrities, filmmakers, and socialiates. Nice is the fifth-largest city in France and was founded by the Greeks of Marsaille as a busy trading port. 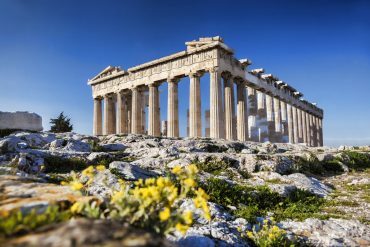 It is named for the Greek goddess of victory, Nike. 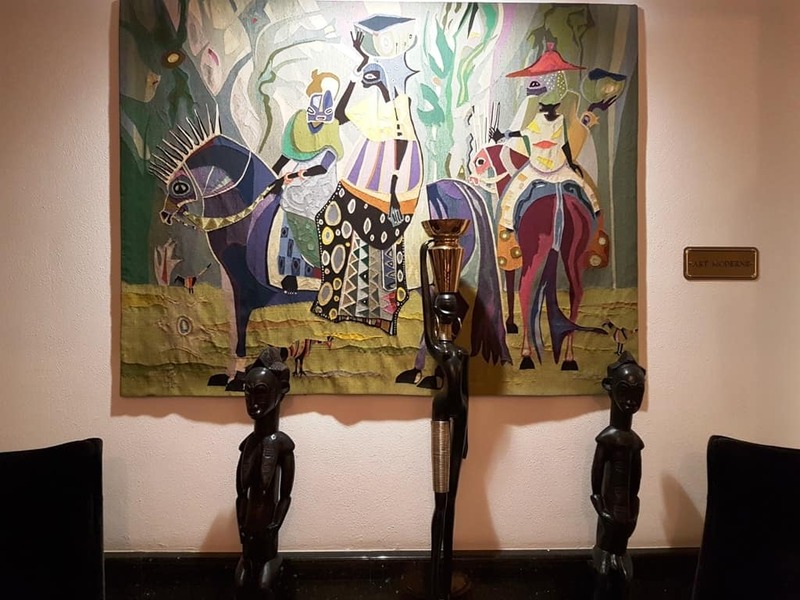 Hotel Negresco is just a few minutes walk from the Old Town, with wide pedestrian streets full of luxury shopping, upscale dining, and museums. 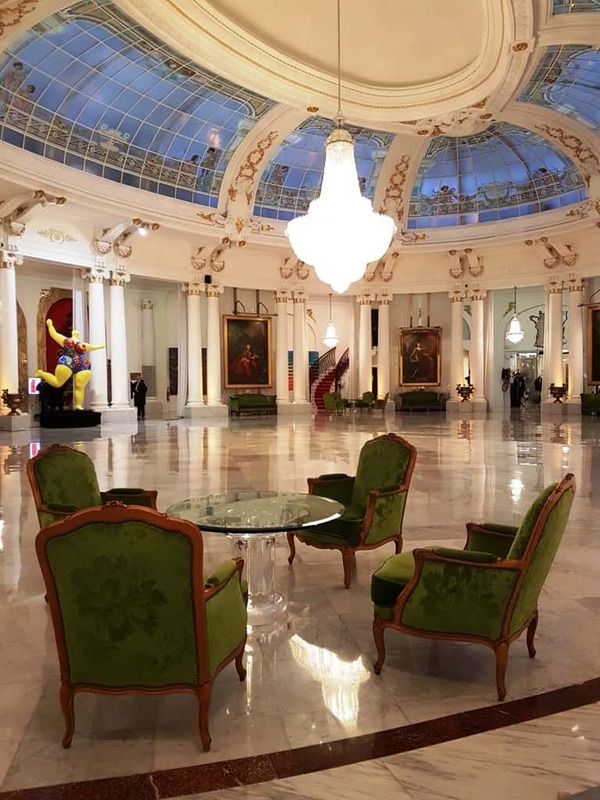 The concept of Hotel Negresco is to showcase exceptional French art through the last five centuries. 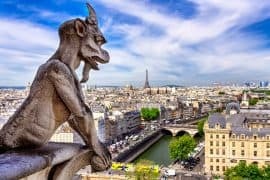 The building is a National Historic Monument; the Belle Epoque building was built in 1912 by hotelier Henri Negresco, who commissioned Édouard-Jean Niermans to design it. The 16,309 crystal chandelier in the hotel’s Royal Lounge was commissioned by Tsar Nicholas II, who was executed before he was able to receive the chandelier. In the aftermath of World War I, Hotel Negresco transformed into a hospital. After the war, Hotel Negresco fell into serious financial trouble and was seized by a Belgian company who continued to run it as a luxury beachfront hotel. In 1957, the Augier family bought the building and hotel. Current CEO and chairwoman, Madame Jeanne Augier, was instrumental in the current look and style of the hotel, as well as the introduction of the extensive art collection which numbers over 6,000 pieces now – a true “mosaic of antique and contemporary.” All of the pieces are from her personal collection. All of the rooms are inspired by different eras in French art, and the public spaces highlight famous artists, sculptors, and designers. 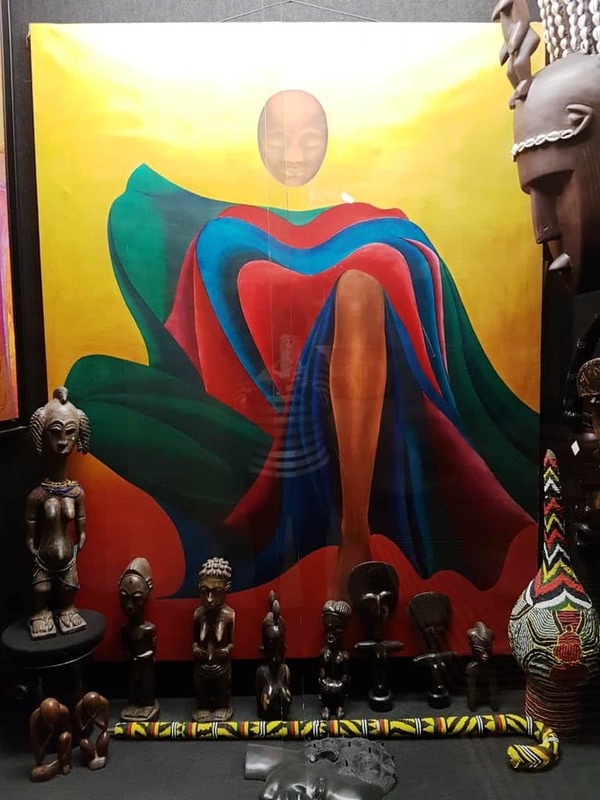 The corridor outside my room, for example, had Salvador Dali paintings. Hotel Negresco is also a forward thinker when it comes to sustainable tourism. It has undertaken the demanding Ecolabel certification, which is granted to establishments who pursue sustainable changes. 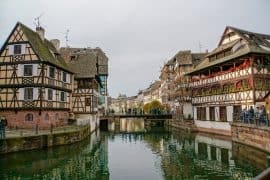 Finally, it is also a Living Heritage Company, or EPV (Entreprise du Patrimoine Vivant), a French designation award to companies who have exhibited commitment to reconciling tradition and innovation. It is thanks to Madade Augier and her staff, who protect and embellish the French heritage and tradition of art. 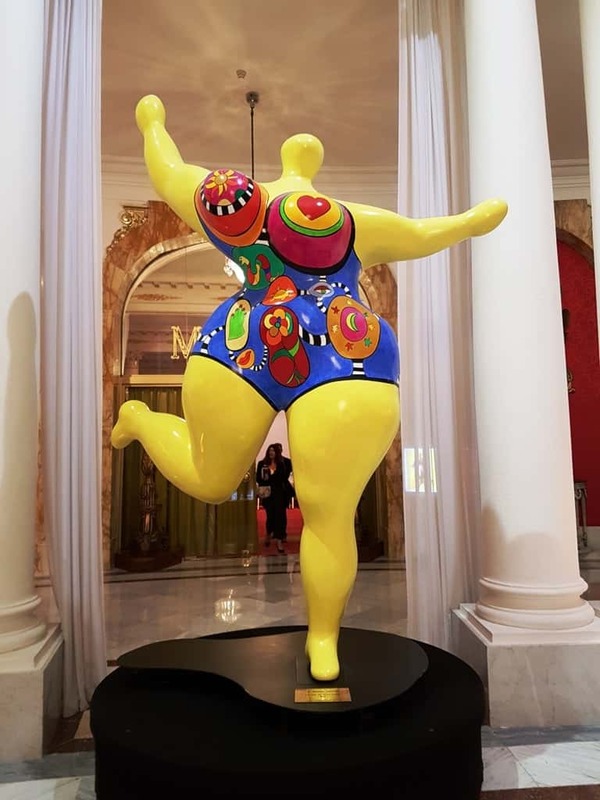 Through its hundred years of history, celebrities, artists, and heads of state have enjoyed the hospitality and warm reception at the sumptuous Hotel Negresco. 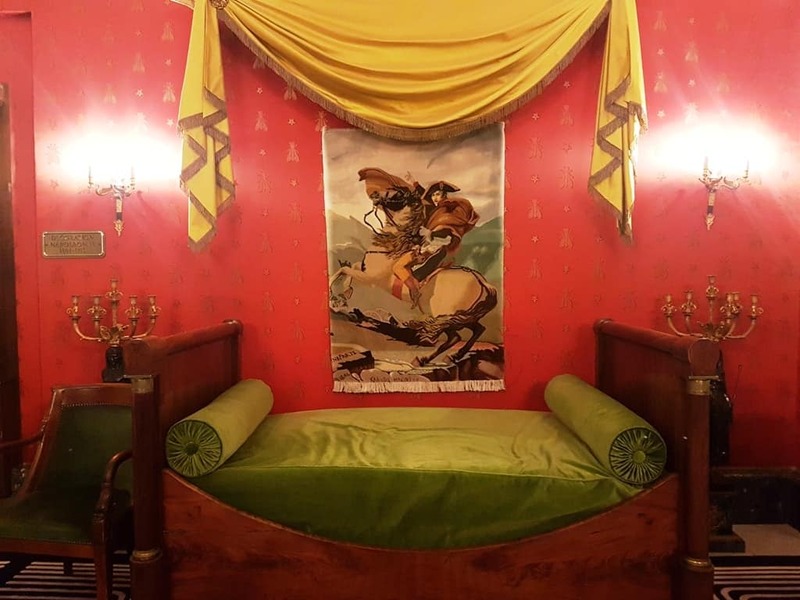 Every room at the Hotel Negresco is different and has a story to tell. While some rooms are contemporary and chic, others are sumptuous and elegant – all, though, are thoughtfully designed and well-maintained. After checking in, I was escorted to my room, a beautiful deluxe sea view room with a small French balcony. Of the 99 rooms and 25 suites, the majority have sea views of the cerulean Baie des Anges. A welcome tray of local fresh fruits was waiting for me in the room, while in the evenings turndown service included delicious chocolates. 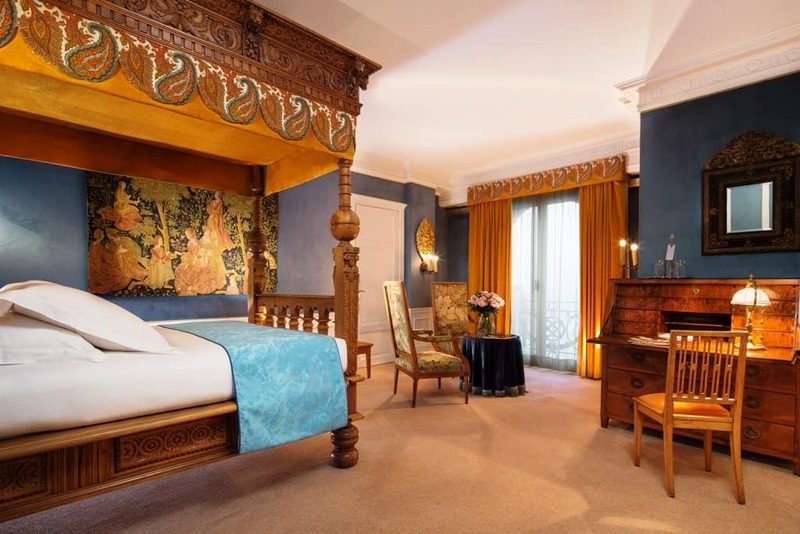 My room was well-appointed with silk wall hangings and richly decorated French textiles. As with all of the rooms, the furnishings are a complementary mix of traditional and modern. 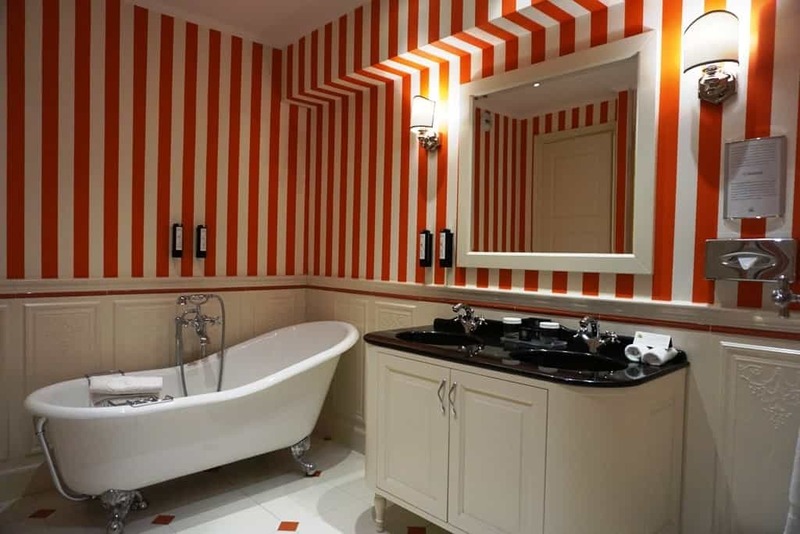 The bathroom, which does have a separate toilet, was inspired by the colourful French seaside, with a bright reddish and white striped wallpaper. 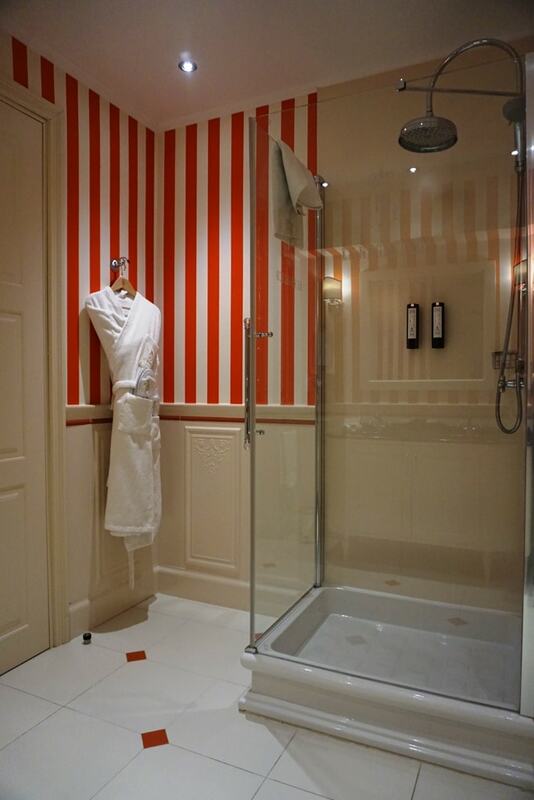 There were Lalique toiletries, a plush bathrobe, and a large vanity with space for personal toiletries. French cuisine is known around the world for their rich flavours, and the restaurants at Hotel Negresco do not disappoint. There are two restaurants on the hotel property, and one bar. 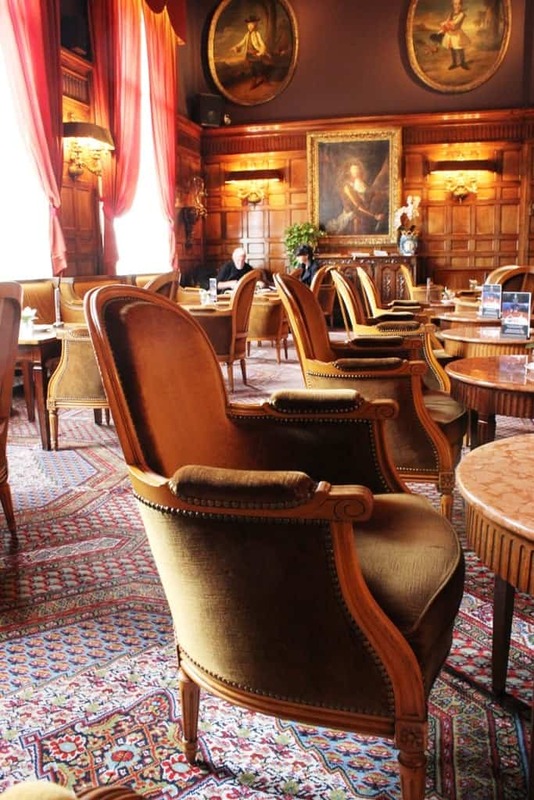 Le Chantecler is the star – or two, in this case, of the Hotel Negresco. 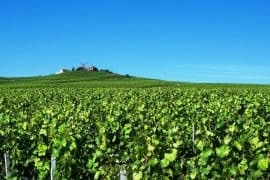 It has two Michelin stars, earned for its dedication to preserving the Cote d’Azur’s traditions and produce. Many of the produce and meats used in the restaurant are sourced from local farmers and butchers. Le Chantecler is only open for dinner Tuesday to Saturday and is closed annually in January. La Rotonde Brasserie is the hotel’s casual eatery. Inspired by a merry-go-round, the brasserie is brightly coloured and energetic. 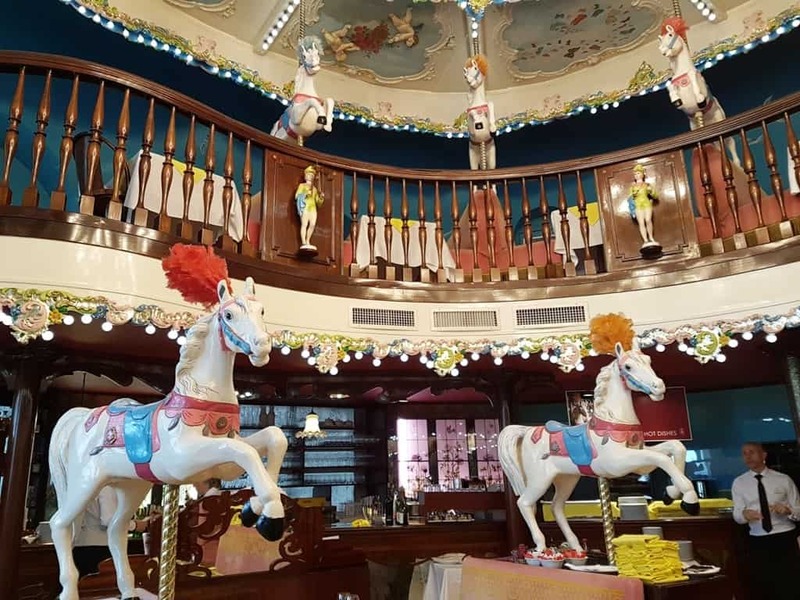 It has carousel horses surrounding the two-level dining room and is dedicated to families, although it is also a hot spot for locals and visiting celebrities. This is also where breakfast is served at the hotel. Breakfast at La Rotonde includes a wide variety of dishes, from fresh fruits and juices to warm pastries, cakes, and breads, made to order omelettes, crepes, and waffles, and so much more. The charcuterie station was piled high with meats, cheeses, and cured fish. There were also yogurts, cereals, and hot options like sausage, bacon, and eggs. 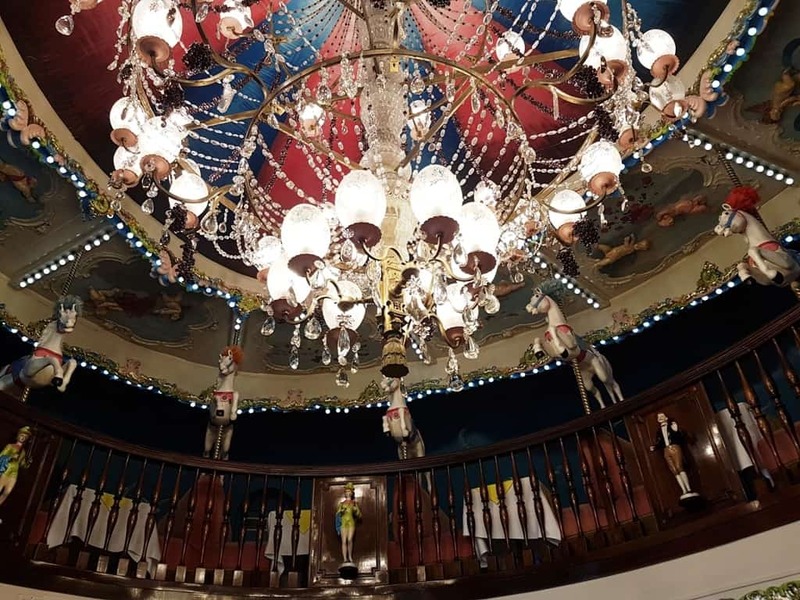 I had the opportunity to enjoy lunch at La Rotonde during my stay. The menu is simple, yet delicious. 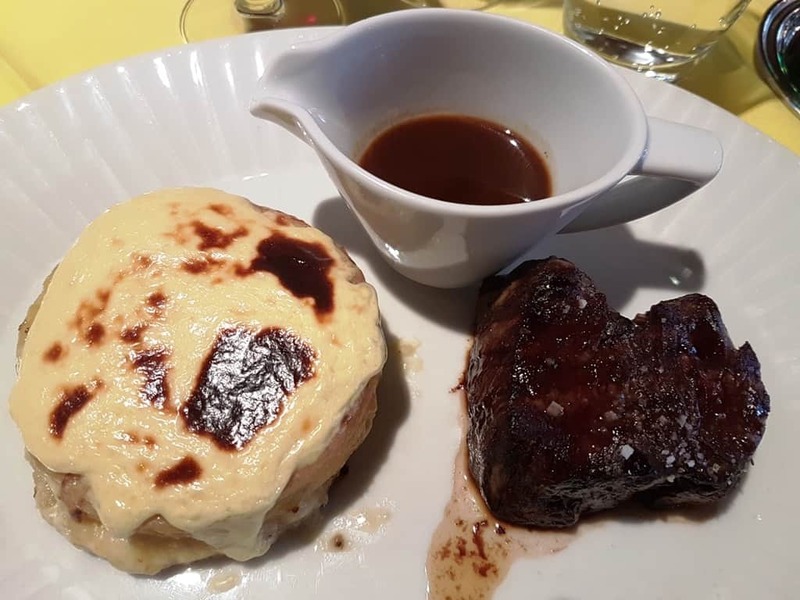 For my main course, I ordered the Filet de boeuf grillé, gratin de pommes de terre et sauce bordelaise – a grilled fillet of beef, with potatoes au gratin and a bordelaise sauce. Following this, I enjoyed a coffee. Hotel Negresco uses Malongo coffee, a Jamaican coffee bean. 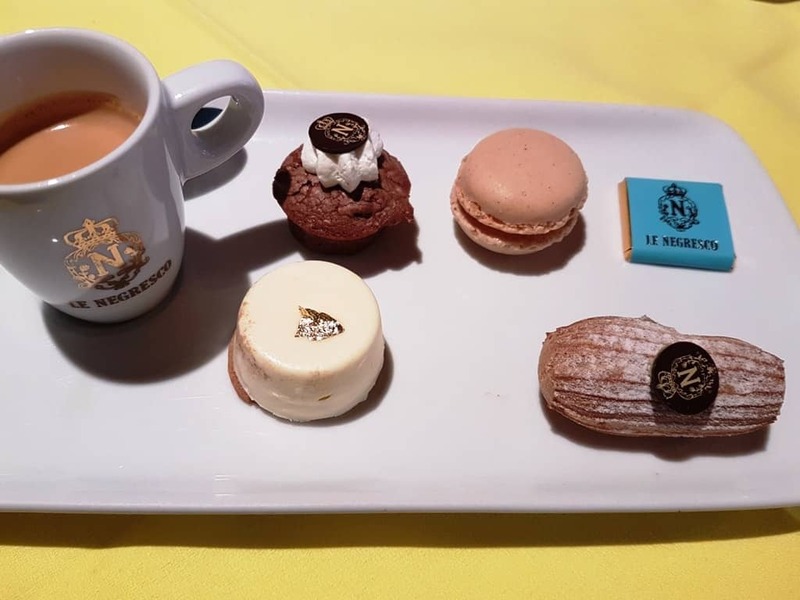 It was served with four sweets, which included macarons chocolates and more. In true seaside fashion, the dessert menu includes colourful glaces (ice creams) and cakes. Hotel Negresco does have a separate bar, Le Bar, which attracts the local celebrities as well as visiting jetsetters. The cocktail menu is extensive and perfectly prepared, while the bar’s dark hues and hushed tones invite guests to linger as the sun sets and the eclectic nightlife of Nice begins. There is often live music in the bar, which is open daily until 1am. 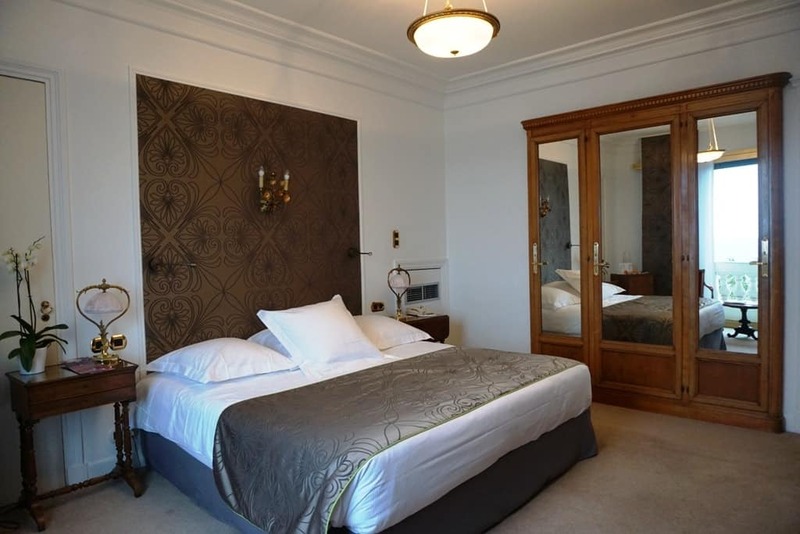 Hotel Negresco is a wonderful, luxurious place to stay during your visit to Nice, France. 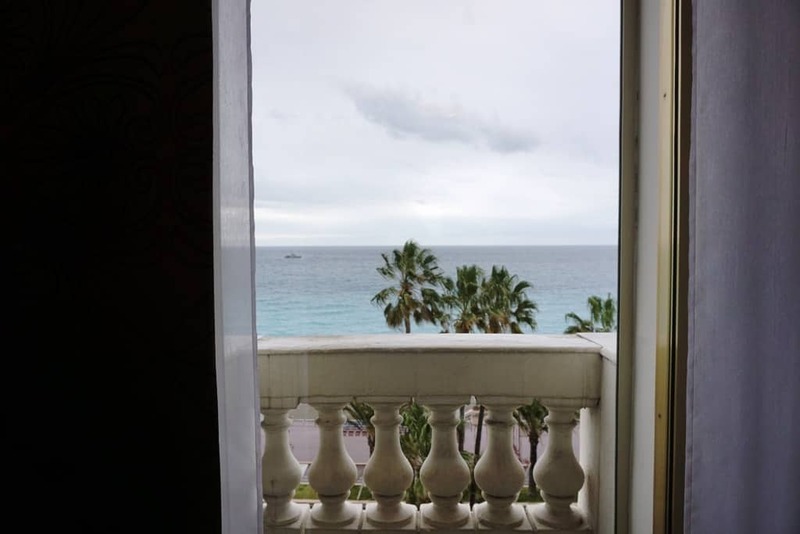 It’s central location on the Promenade des Anglais is perfect for visitors looking to experience both the seaside elegance of Nice as well as the vibrant nightlife and cultural attractions that Nice offers. I recommend it to anyone planning a trip to the French Riviera. I was a guest of Negresco Hotel, but as always opinions are my own. 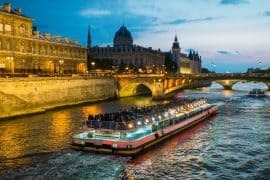 Paris in 7 days, an itinerary for first time visitors.